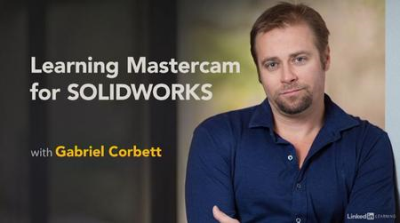 Discover how to use Mastercam, one of the most popular CAM packages in use today, within SOLIDWORKS. First, instructor Gabriel Corbett shows how to load models and assemblies, set up the machine and fixtures, and configure tools. Then, he demonstrates how to drill, tap, bore, pocket, and mill your material. Plus, see how to simulate the job and make great parts on a CNC.